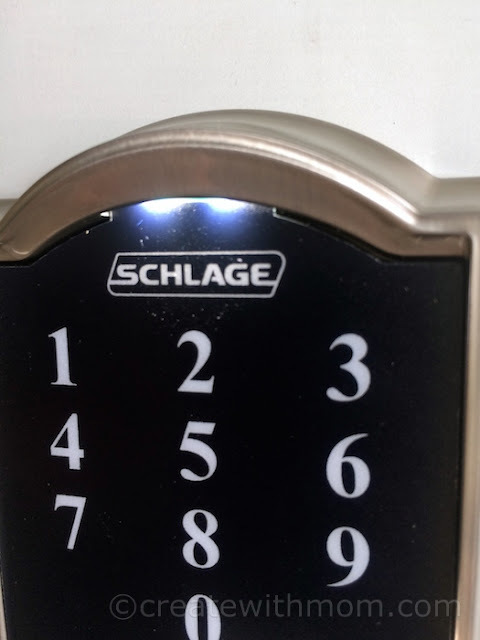 Any family who leaves the house a few times a day can appreciate the keyless functionality Schlage offers. 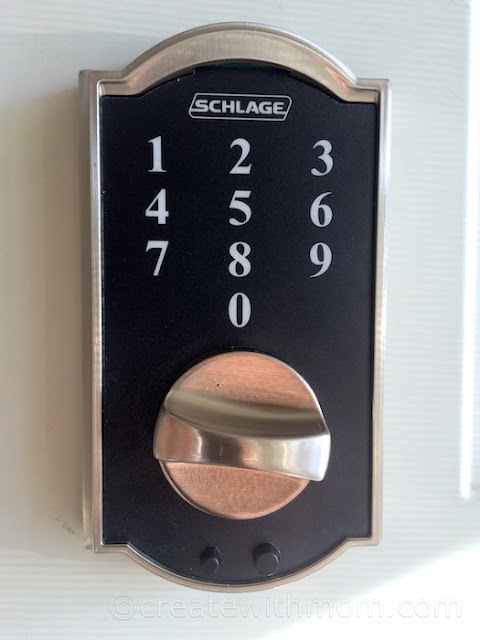 It is as simple as pressing the Schlage button on the top and turning the knob to lock. To open, all we have to do is enter the 4 digit code we setup, and turn the knob to unlock. With this technology, there is no more fumbling with keys, taking it out of our pocket or searching for it in our bag. 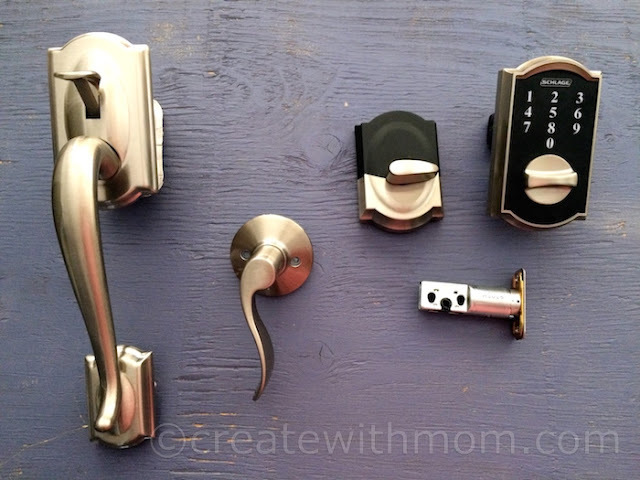 Schlage offers deadbolts and door hardware in different styles and colours. We chose the Schlage Touch Keyless Touchscreen Deadbolt with a Camelot trim paired with a Camelot Handle set and Accent lever in the Satin nickel finish. 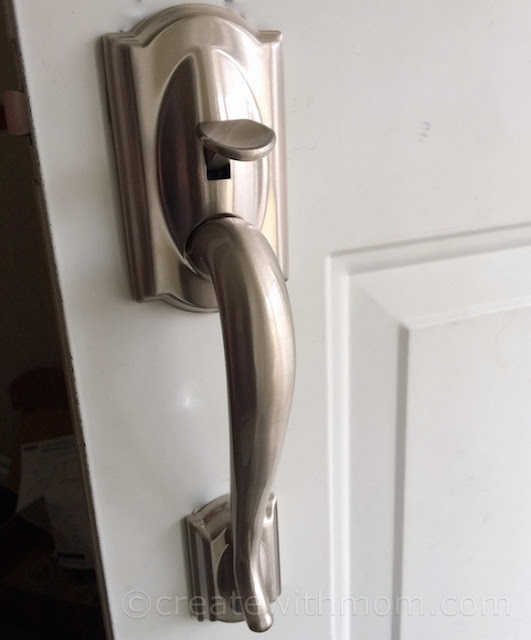 We replaced the locks and the handle on our existing front door and found the installation to be a breeze. For installation all we needed was a screwdriver. The included instructions and the detailed installation video on Schlage's website really helped. 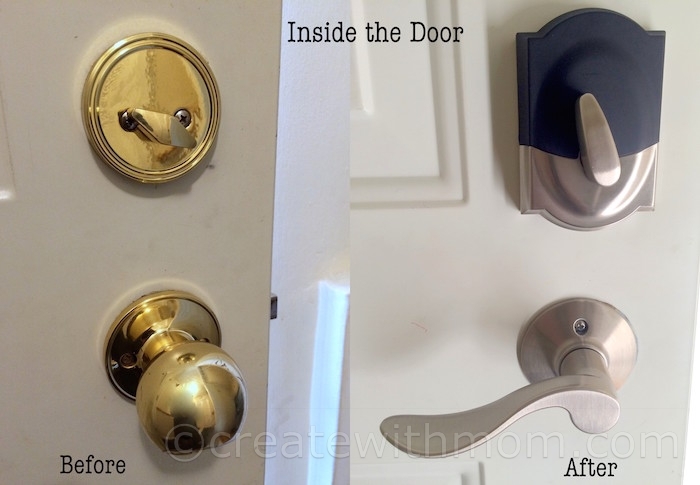 Schlage includes all the hardware we need including different shaped faceplates that can match our existing cutouts. We installed the touch screen number pad to the outside and attached the interior assembly and connected the included 9V battery. We had to be carefully attach the cover without pinching the wires. I am glad the deadbolt is not motorized, so there was no problems aligning it easily with the strike plate. We don't have to be a locksmith to do this. There is a programming code unique to every lock, which is included in the user guide, and in the interior assembly of the lock in case we lose the manual. Programming the lock to set our own code is easy and fun. 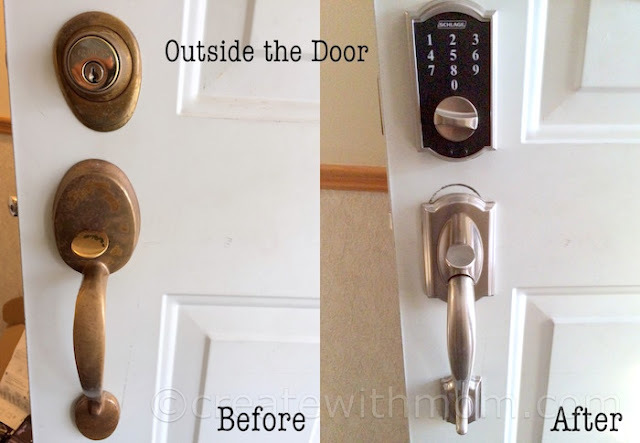 Our experience so far with our Schlage Touch Keyless touchscreen deadbolt has been great. Initially, it felt weird leaving the house without keys, and then we began to realize how convenient this was. We have a family code setup so its simpler and also there is no extra keys to carry for each adult member in the house. The individual numbers on the touchscreen are big enough so everyone can use it easily. We like that there is an LED down light that we can turn on to illuminate the keypad in extremely dark conditions. Another wonderful feature is that the touchscreen is fingerprint resistant, so it does not show any prints where the code was entered. We can store up to 19 four-digit user codes if needed. The touchscreen can be used even when wearing gloves which is very convenient. Adding or deleting user codes is easy with the programming code included. There is a 2-year battery life with the included 9v battery. For our convenience, there is a low battery indicator and an audible beep warning us days ahead when the battery is low. 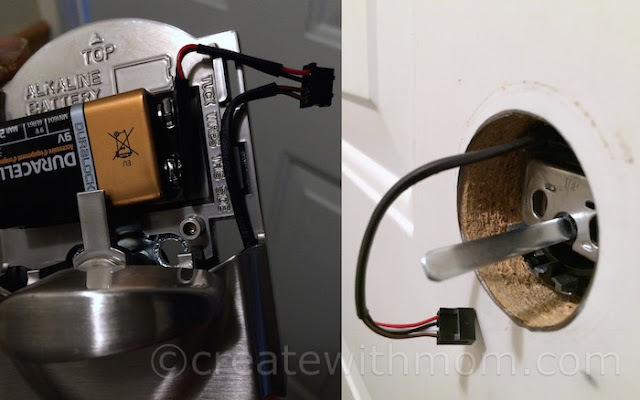 If we get lazy and put off replacing the battery, and the battery dies and we get locked out, we can open the door with the emergency battery jump start method by connecting a new 9V battery to the contacts found on the touchscreen keypad and unlock the door. I like how modern and stylish my door hardware looks with the Schlage Touch Keyless Touchscreen Deadbolt together with the Camelot Handle set and Accent lever. 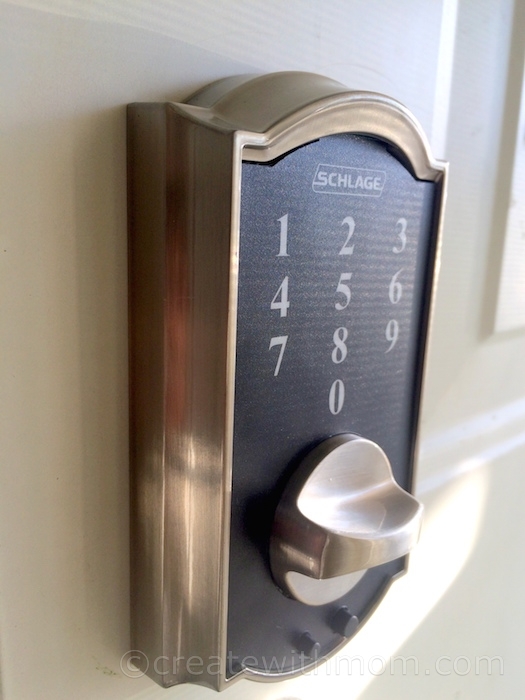 The Schlage Touch keyless deadbolt gives my front door a sleek, sturdy look while adding security, and convenience. The matching handle set and accent lever in Satin Nickel finish gives it a nice contemporary look. I am hoping to give my front door a different coat of paint in spring. We have keyless entry for quite some time, which is good because my hubby was always losing his keys! those are really a great idea..but i wish i had a credit card slid door like motels and hotels have to be quite honest...either one...a sliding card or the numbers..good post..
What a unique lock. I like that it doesn't require a key. That looks much nicer than those old push button types. This I would consider getting. This may be something to look into getting.